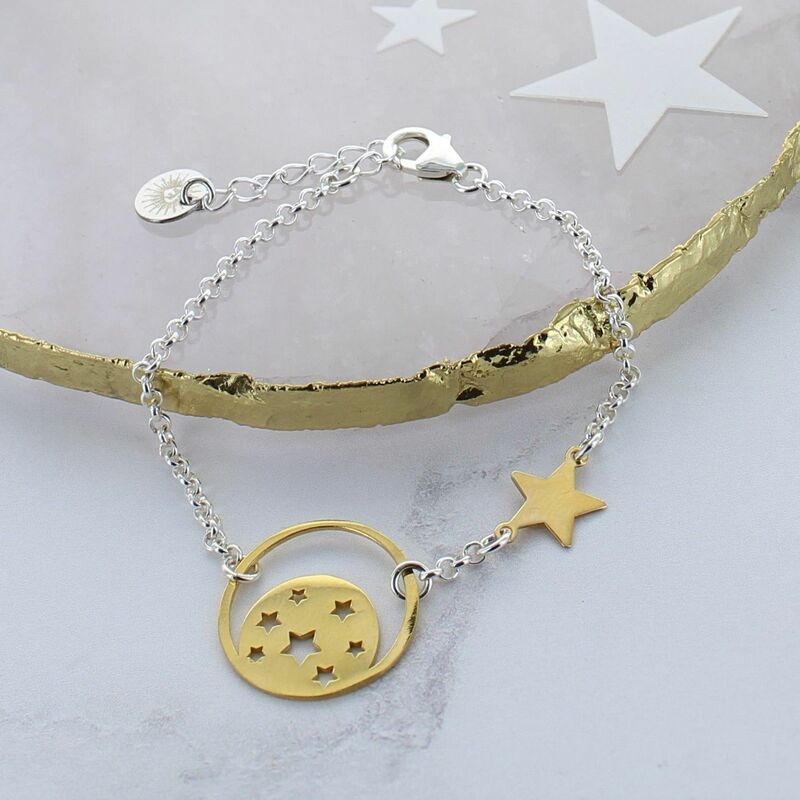 A beautiful gold and silver bracelet with a moon and star gold disc and gold star to the side. The moon star bracelet is a striking piece that would make a great gift for any occasion. The moon and gold star sits centrally on a medium weight belcher chain. The piece is finished with an extension chain enabling the bracelet to be adjusted to your perfect fit. It is simple, on trend and easy to wear day or night. The bracelet would make a great gift for a friend or loved one as a thank you, token gift or to celebrate an anniversary. 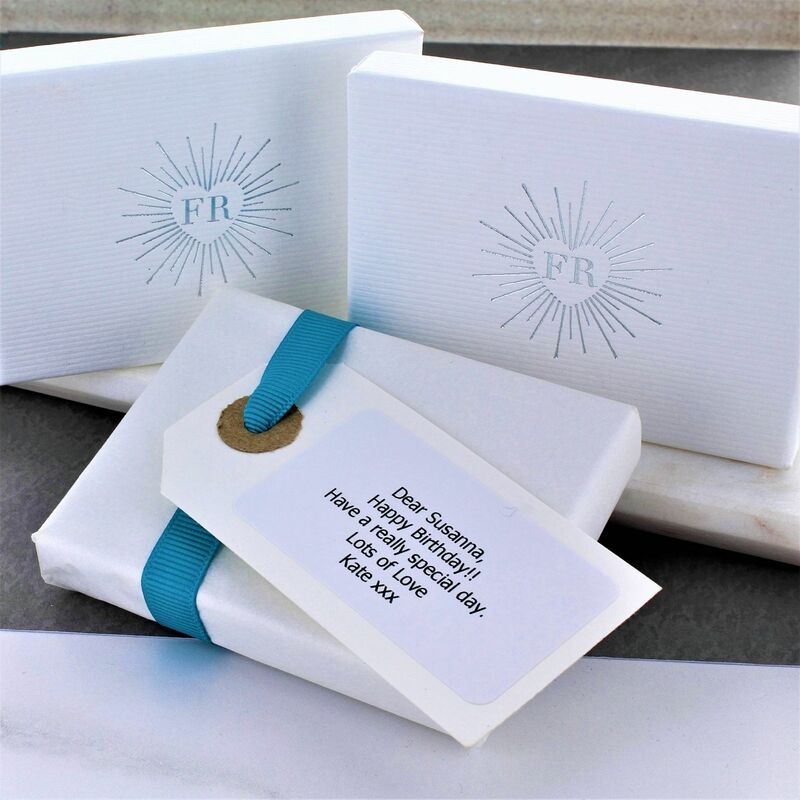 Each necklace arrives in a striking white and silver gift box with a free gift wrapping service available upon request.